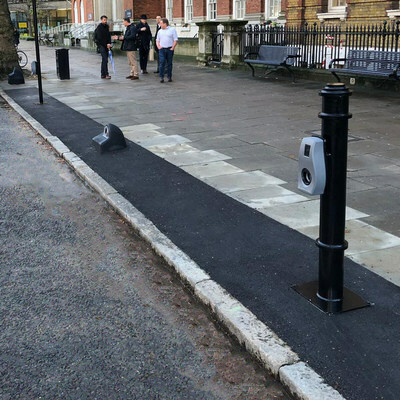 Connected Kerb, working with Southwark Council, today launched the first ever deployment of its ground-breaking public kerbside charging and connectivity infrastructure for electric vehicles (EV) in Borough Road, Southwark, London SE1. Following its win of the Mayor of London's Award for Urban Innovation last year, Connected Kerb has been working with multiple local authorities throughout the UK to build out its nationwide network of kerbside charging and connectivity points, to enable the UK Government's Road to Zero emission goals to be achieved. Working with Southwark Council, and supported by Virgin Media and National Grid, Connected Kerb has installed its first-of-a-kind public EV charging bays in Borough Road, SE1, with the expectation of a wider Capital-wide rollout, delivering a more sustainable future for Londoners, and supporting the UK Government's Road to Zero carbon emissions policy. Through smart, future-proofed fibre broadband and wireless kerbsides powered by Virgin Media, Connected Kerb's technology offers simple, efficient and cost-effective 'drive-up' roadside charging and internet connectivity points for EV motorists. These kerbsides also provide valuable data such as environmental, weather and traffic monitoring data for public authorities. Uniquely, Connected Kerb's technology turns 'dumb' charging point plugs on residential streets into intelligent mobility nodes that support multiple charge point solutions as well as connected car applications. We've future-proofed our solution to enable new charging technologies and support for new transport and mobility applications as they come online. These benefits are delivered to motorists via Connected Kerb's unique, discrete and sympathetically designed kerbside units made from recycled materials. 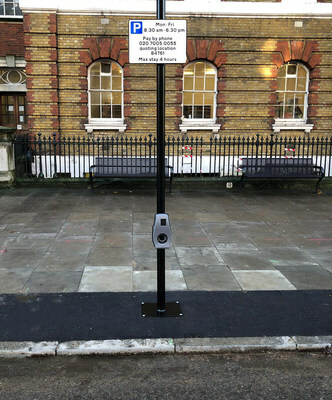 Paul Ayres, COO, Connected Kerb, commented: "We are delighted to announce the launch of our first kerbside charging and connectivity deployment in Borough Road, Southwark and have been particularly impressed by Southwark Council's pioneering adoption of the technology. As electric vehicle ownership increases at pace, the need for a nationwide infrastructure has become critical, and we are delighted that London electric vehicle motorists will be among the first to benefit. "We're on the precipice of the electric vehicle revolution; it's an inevitability. I am confident the stellar team involved in Connected Kerb, combined with the companies we're collaborating with and our nationwide rollout strategy, will deliver the transformation required to change the landscape of sustainable motoring in the UK and beyond." [Mayor's Office proposed quote]: Mayor of London, Sadiq Khan, commented: "Improved environmental quality, sustainability and the drive towards reducing vehicle emissions is a key priority for local and central government and particularly critical for a capital city as heavily populated as London. It requires greater adoption of electric vehicle ownership and I support innovations such as Connected Kerb that make it quicker and more convenient for that goal to be achieved. 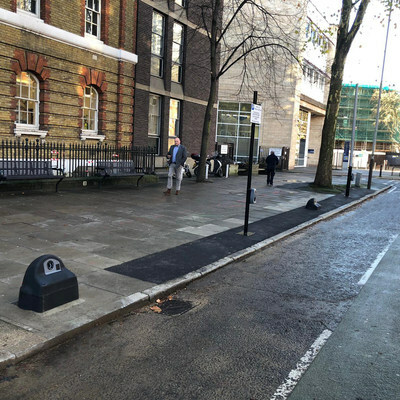 I'm therefore delighted that Southwark has been the first council to embrace kerbside charging and connectivity and wish the Connected Kerb project every success". "We want to help people to make decisions that improve air quality here in Southwark, be that by walking, cycling and taking public transport, or by using clean fuel. These new charge points are making it easier than ever for people who live in Southwark to make the switch to electric vehicles." Cormac Connolly, Director of Strategy and Innovation, Project Lightning at Virgin Media said: "Our ultrafast fibre network and cabinets across the UK put Virgin Media in the driving seat when it comes to providing connectivity and convienient charging access to electric vehicles. We know that our towns and cities will continue to get smarter and more reliant on connectivity, so today's Connected Kerb launch gives a real peek into what the near future holds." Martin Cook, Head of EV Development at National Grid Ventures, states "We're delighted to be collaborating with Connected Kerb to provide kerbside electric vehicle charging. Enabling the transition to clean mobility is a priority for National Grid and we are really excited by the potential for Connected Kerb's solutions to contribute to the acceleration of the adoption of electric vehicles." This will be an opportunity for media to see the Connected Kerb infrastructure in action and spokespeople from Connected Kerb and the organisations quoted above will be available for interview and comment. Based in London, UK, Connected Kerb Ltd is committed to delivering a nationwide EV infrastructure network and community, with products and services designed to meet the expected explosive demand in electric vehicle adoption, representing an estimated EV market of £1 trillion. Kerbside charging, connectivity and data collection are among the first of Connected Kerb's solutions, being delivered by a team whose expertise includes the project management, product development and rollout of London's cycle hire scheme, combined with world-class commercial and delivery strategists. Connected Kerb is now helping Local Authorities, Property Developers and the wider EV ecosystem kick start the Electric Vehicle Revolution to make mass EV adoption both a possibility and a reality.